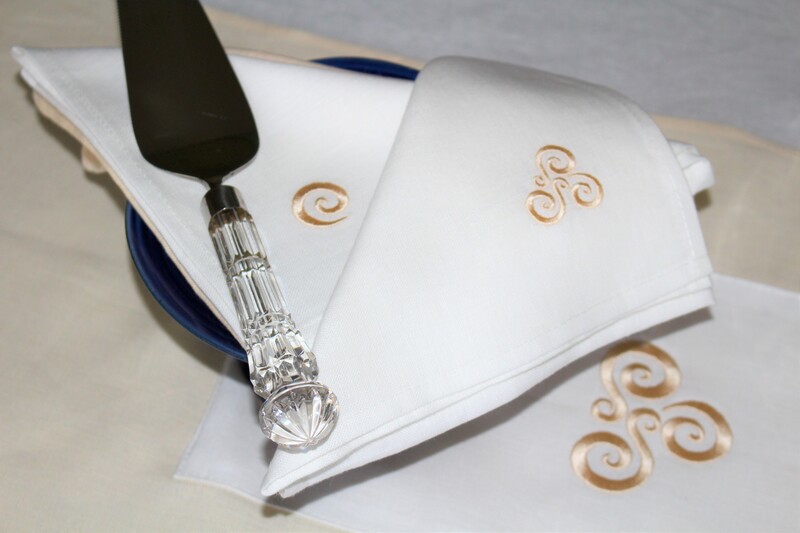 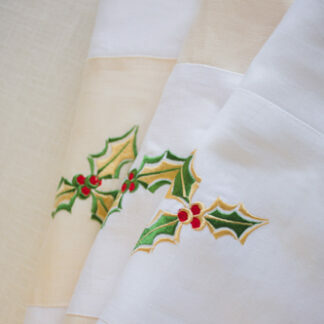 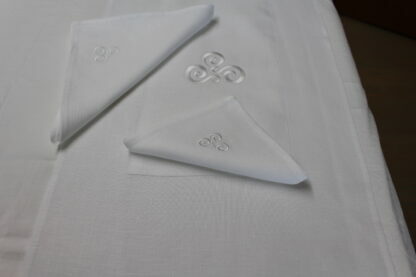 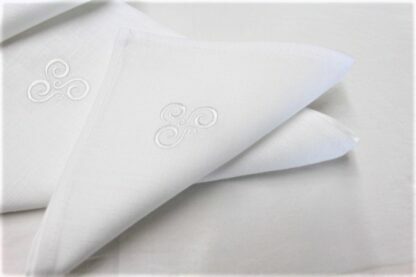 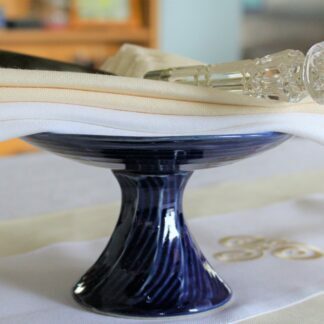 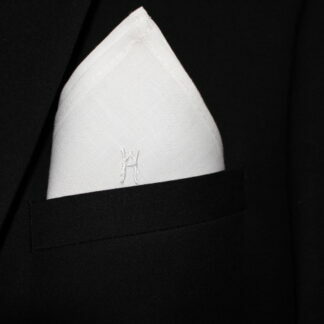 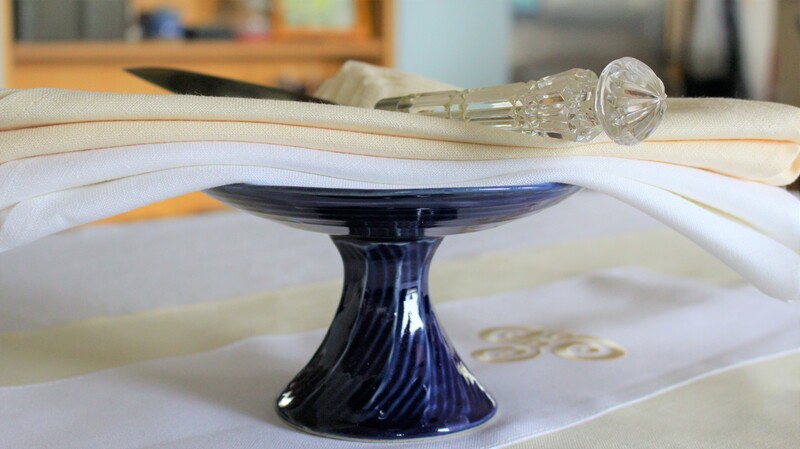 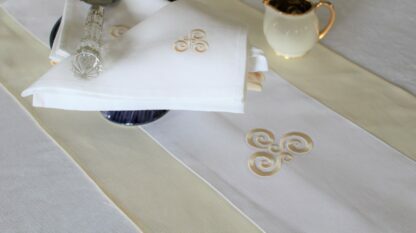 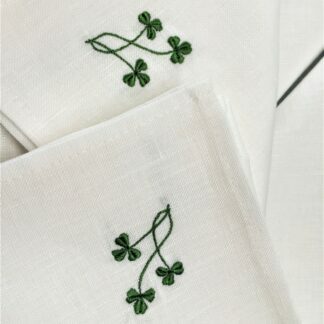 This white Irish linen dinner napkins is a classic and will work with any decor. 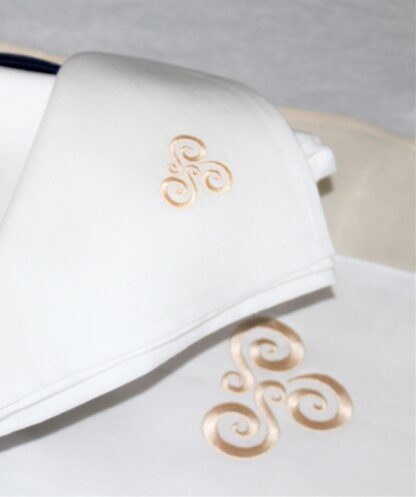 Here we have embroidered it with our Pre-Celtic Knot in ecru threads or white. 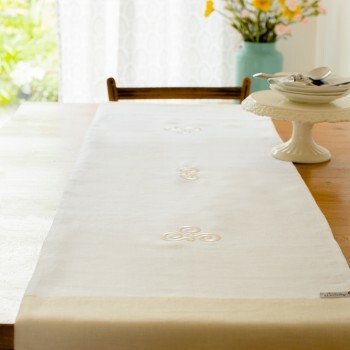 Both look wonderful and are beautiful on any dining table. 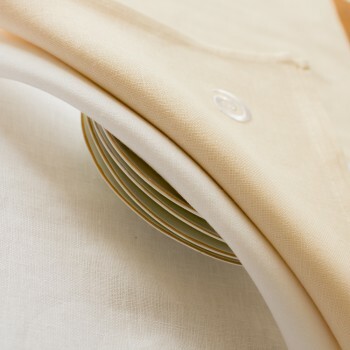 Care; Wash on a cool wash. Iron while still slightly damp. See care of linen also. 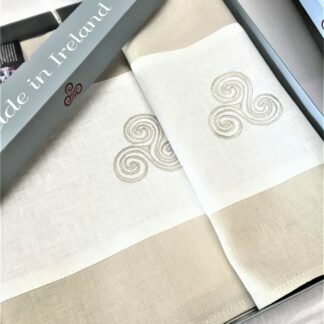 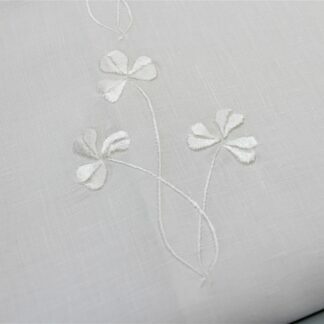 Fine Irish linen Pillow Cases with Embroidered Shamrocks - Box of two Three little Shamrocks/ dinner napkins in ivory Irish linen.